I have long been intrigued by Grace Kelly. Her iconic beauty and movie star career; her transformation into a real life princess and then that shocking, tragic and untimely death – the stuff of movies. 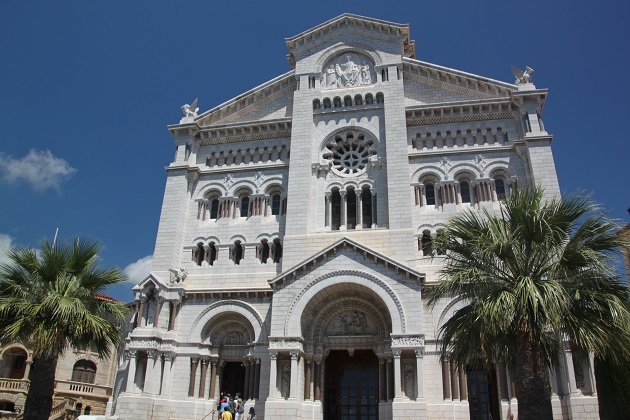 Coming to Monaco for me definitely meant a trip to the cathedral and her burial place. This sunny little stretch of coast became the property of the Grimaldi clan in 1297. In recent decades they have turned it into the world’s chicest city state and a classic luxury destination. It was the 1956 marriage of Prince Rainier III to Grace Kelly that well and truly boosted the glamorous status of Monte Carlo. 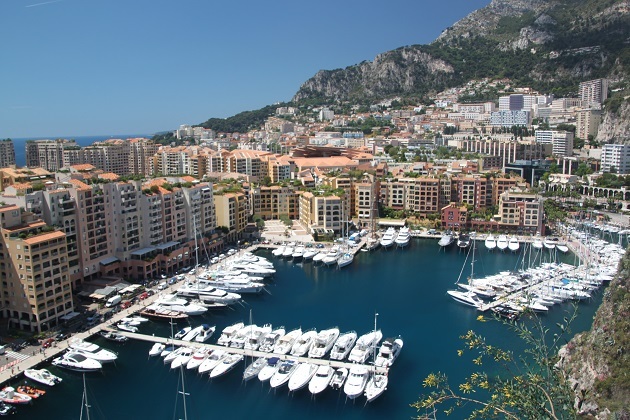 They met when she was in Cannes to promote “To Catch A Thief,” Monaco has never looked back. We strolled through the streets of the old town from the palace to the Cathedral – just a short walk and very easy to find. The building is beautiful, has some gorgeous gardens nearby and the most stunning views down to the water where we spied some seriously impressive boats and yachts. Inside the cathedral were large crowds of people but despite that a quiet and serene atmosphere. 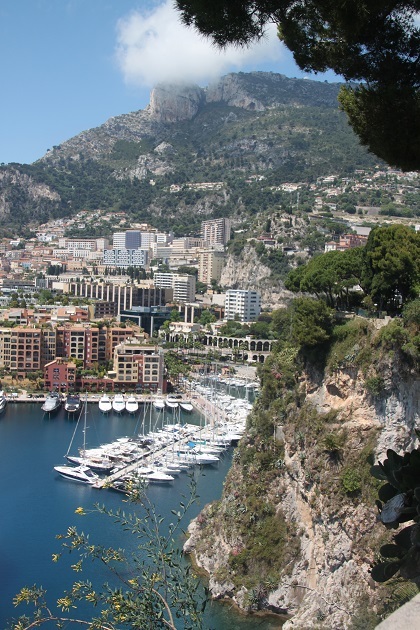 This is one of Monaco’s most visited attractions, mainly because it contains the tomb of Princess Grace. 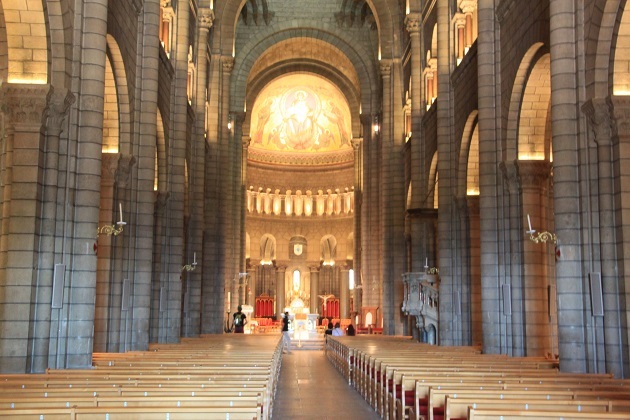 Many of the ruling Grimaldis including Prince Rainier III are also buried here. We joined a long but fast moving line and filed past the graves. 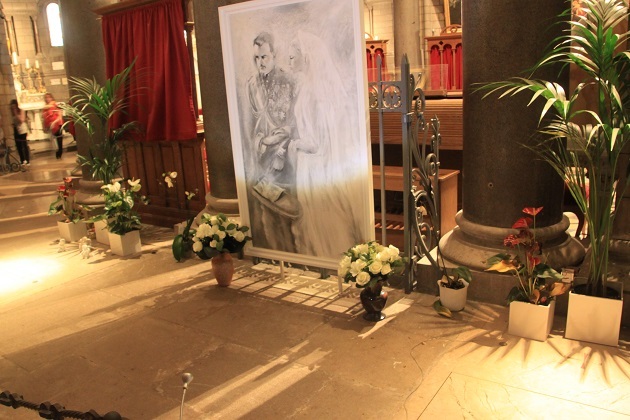 Grace and Rainier are buried side by side with their wedding portrait between them. The whole experience felt solemn and moving. 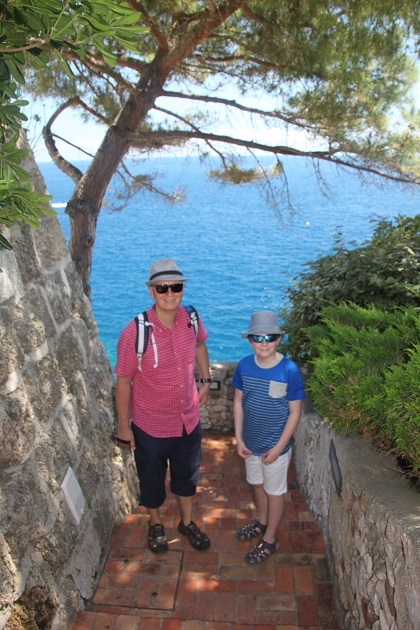 Back outside we strolled through some gorgeous gardens and made our way downhill heading towards the harbour. Fantastic photos, Joy! 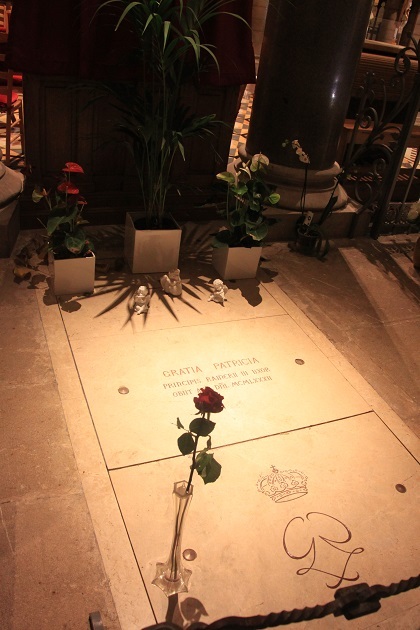 I’ve strolled around the harbour but hadn’t thought that you could visit the tomb of Princess Grace. Definitely on my list for next time. You should pop in Clare, definitely worth a visit. Also it doesn’t take much time if your little ones are not so interested! It is very plain and not at all ornate – beautiful though. Thanks, Joy! Was lovely. Always a fan of Grace Kelly. Absolutely Suvi – it’s easy to get to and definitely worth seeing. 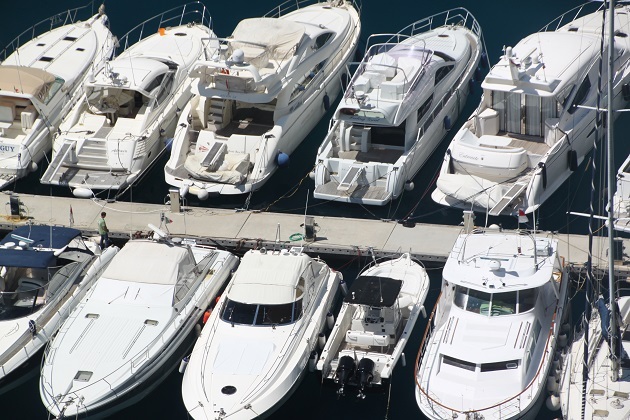 It’s always stunning to see photos of the harbour, just love it and my yacht loving family like to wander round dreaming of owning one of those boats moored there! Thank you for posting such lovely scenes. 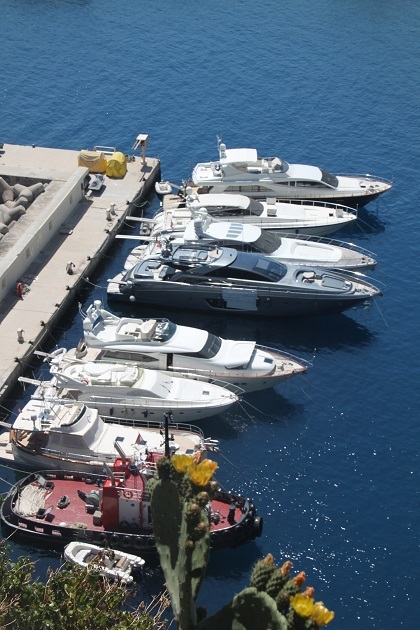 Those boats are just incredible aren’t they!! We’re more land lovers but loved strolling around and taking in these beauties. It’s beautiful and so much to see and do, hope you manage a visit one day Roberta. Great post, Joy. 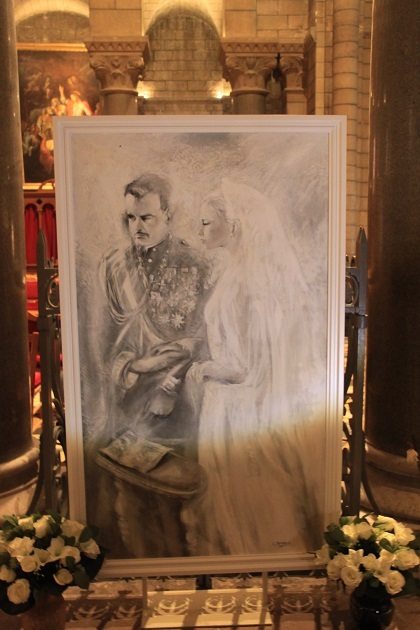 I’ve long been fascinated by Grace Kelly too..I love the wedding portrait in between tombs..how moving. I’m sure it was pretty incredible to see all of it in person. It was a really special thing to see their tombs side by side in the cathedral Corey, moving and so memorable. It looks like you had perfect weather, too. Blue skies not a cloud in sight and sunshine all day long – it was wonderful. I am a big Hitchcock fan (I did a whole Hitch tour of California some years ago now) and that was my first introduction to Grace Kelly as a child. 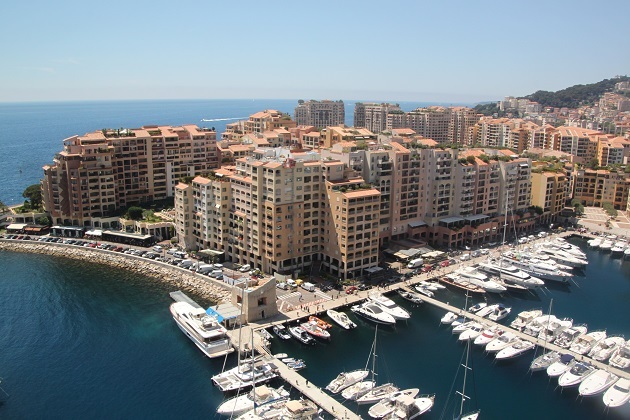 Another reason I should visit Monaco some time. It looks like a really gorgeous place to visit. Some of it is a bit like a concrete jungle, but the natural scenery is amazing. I love Hitchcock too – can’t get enough of those movies, that California tour sounds incredible, one for the list!! It’s a gorgeous place, views around every corner! 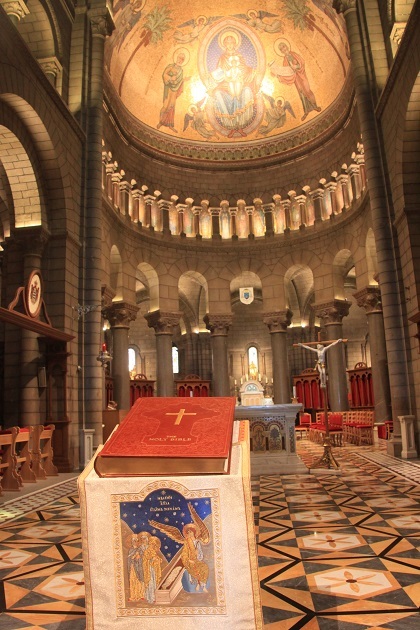 Joy, we visited the cathedral! Grace Kelly is our American princess…love her old movies! Those views are always stunning! She was so beautiful and elegant Pam – everything you think a princess should be!! 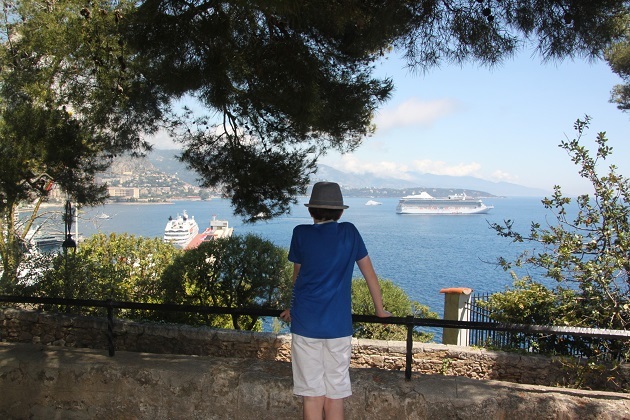 We loved the Monaco views – something stunning around every corner! Have a great weekend. What a lovely post and as usual beautiful photos! Thank you Hilary, it was a really lovely day and a special place to visit. I remember the shock when Princess Grace died Joy – she always seemed born to the royal life so beautiful and regal. Very moving to see the wedding photo tribute between the 2 tombs. A gorgeous setting and stunning views down to the harbour as well! I remember that day so well too Rosemary, I heard it on the radio and remember being so shocked. The cathedral is very splendid but those views…. looking at them now as we’re coming into autumn is especially nice!! It’s beautiful and so much to see and do as well, hope you get to visit sometime! I was only in Monaco for an afternoon. So much I missed out on. But I know there will always be a next time! Absolutely – I think it’s a place you’d always want to go back to anyway! Beautiful photos, Joy. We never made it to the cathedral but it looks gorgeous. If I remember right Princess Grace had her accident on that winding road leading into town. We drove that coming in and it was treacherous. That’s right George – the Corniche was where she had her accident. We drove on it too, my husband was doing the driving though so I just focused on those views – stunning!